January 20, 2018. One year to the day since the inauguration of Donald J. Trump to the presidency of the United States. 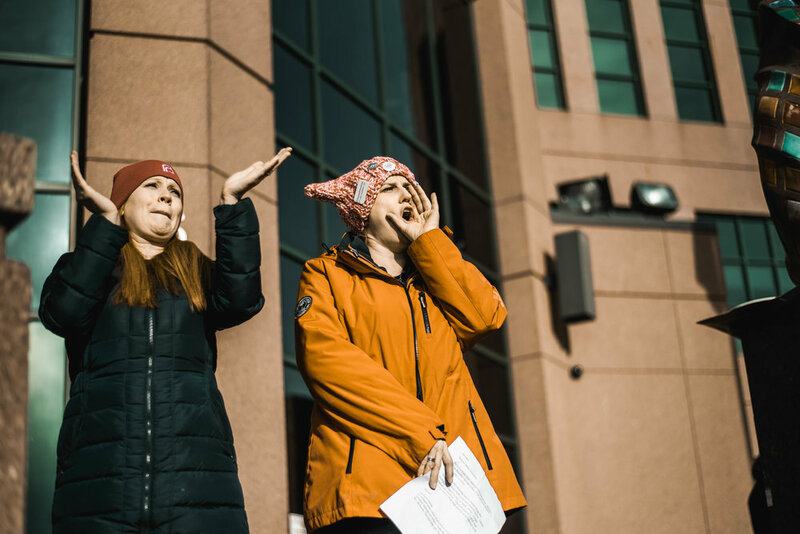 We at #TheStoryteller covered the Sioux Falls Women's March, and for the second year in a row my eyes widened as the bodies around me grew in diversity and in numbers, surprising me in the best way. 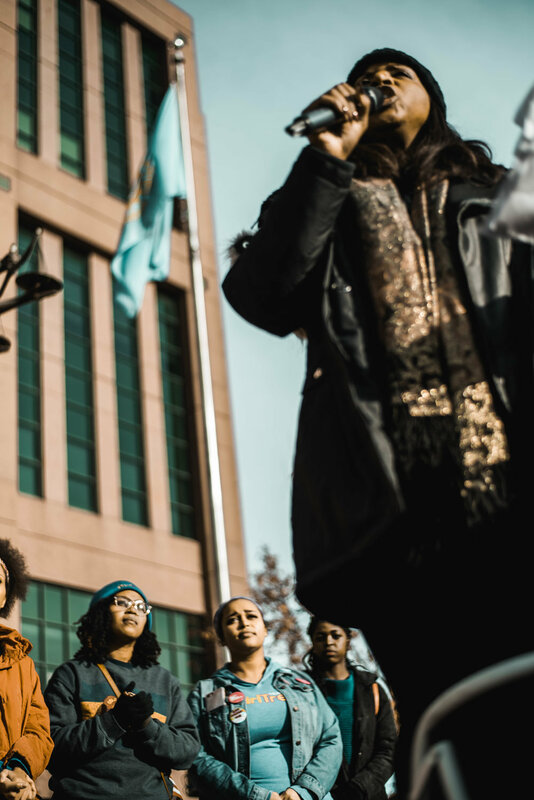 Differing from last year's march, the 2018 march featured the voices and leadership of women of color. Over 2500 people attended the march this year. Signs varied from quotes about and by feminist icons to signs/banners pointing out the misogyny and sexual violence in both national, state, and local leadership. 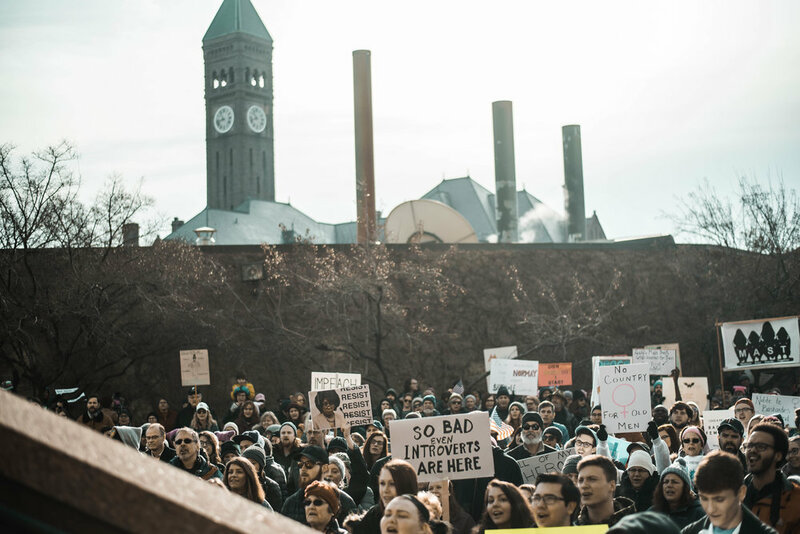 Overall the march had a higher intentionally towards intersectionality and inclusivity. Sioux Falls showed up in droves to say "Times Up" to Donald Trump and the ideals he is the current face of.